Part artist confessional, part musical analysis, Anatomy of a Song ranges from the Isley Brothers' “Shout” to Janis Joplin's “Mercedes Benz” to R.E.M. 's “Losing My Religion.” After being discharged from the army in 1968, John Fogerty does a handstand and revises Beethoven's Fifth Symphony to come up with “Proud Mary.” Joni Mitchell remembers living in a cave on Crete with the “mean old daddy” who inspired her 1971 hit “Carey.” Elvis Costello talks about writing “(The Angels Wanna Wear My) Red Shoes” in ten minutes on the train to Liverpool. Mick Jagger, Jimmy Cliff, Roger Waters, Jimmy Page, Stevie Wonder, Bonnie Raitt, and many other leading artists reveal for the first time the emotions, inspirations, and techniques behind their influential works. 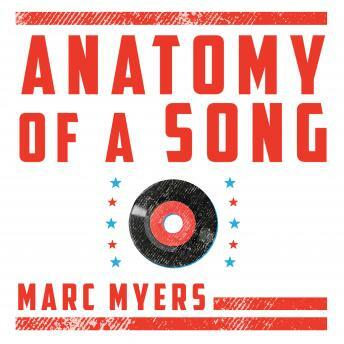 Covering the history of rock, R&B, country, disco, soul, reggae, and pop, Anatomy of a Song is a love letter to the songs that have defined generations of listeners.